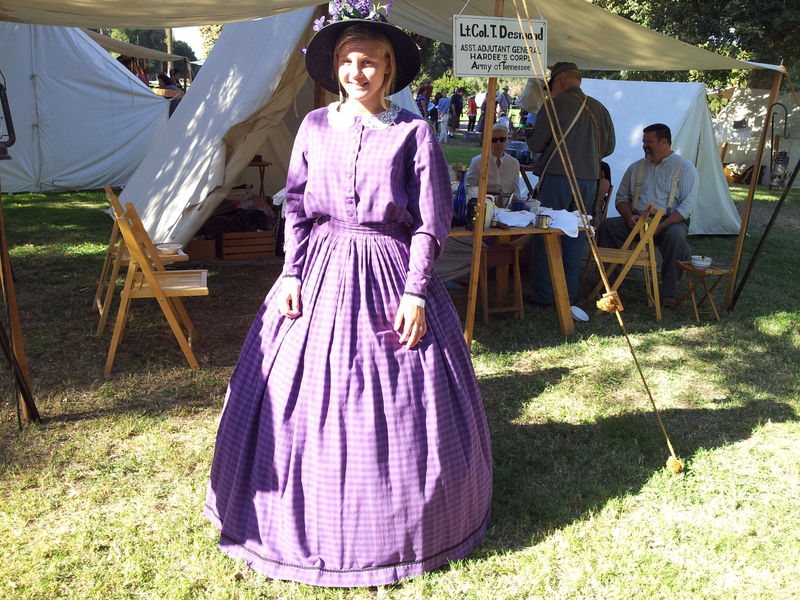 In one week is the annual Civil War Revisited event at Kearney Park, Fresno County, California. Co-hosted by Fresno Historical Society and American Civil War Association, it is still one of the premiere “annual” reenactment events in the state. 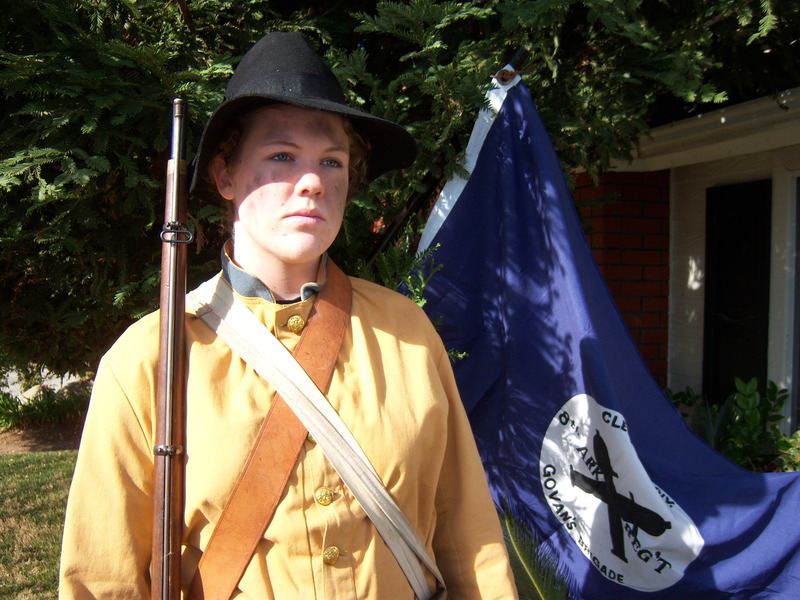 There are close to a dozen reenactment organizations throughout California. While there is a tendency for those folks to attend their various events close to home, in the past, the Fresno/Kearney event has had groups from Colorado, Arizona, and Oregon join in with groups from Los Angeles and northern California. 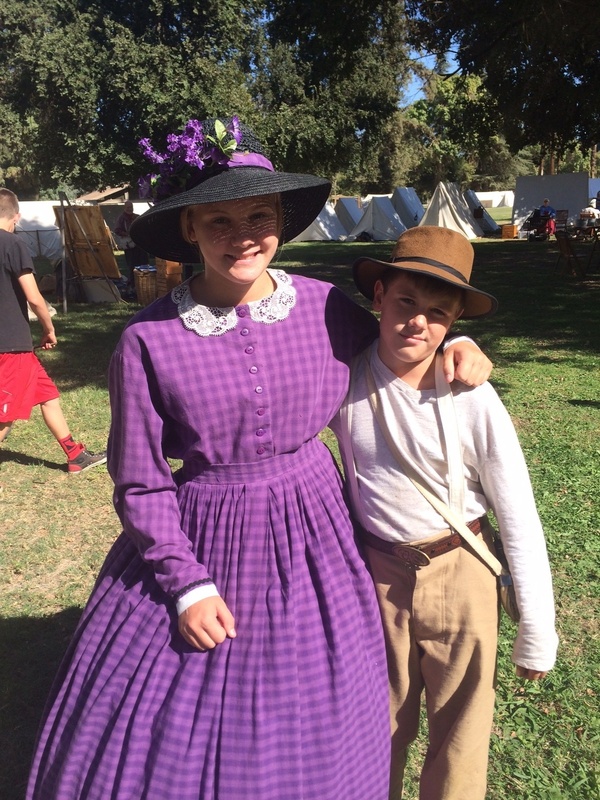 The Fresno/Kearney event was started with the Civil War Reenactment Society working with Fresno Historical. CWRS is still attending and has members from Tulare, Kings, Fresno, and Madera Counties. 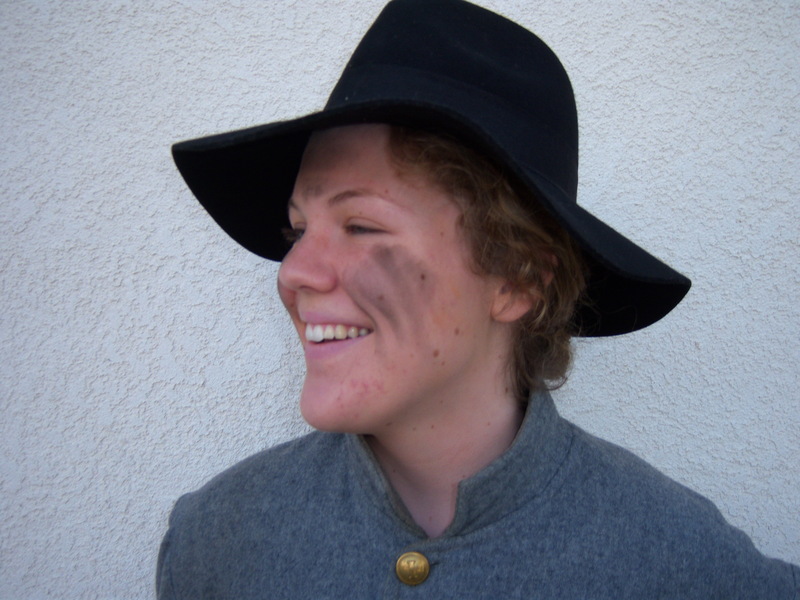 I realize that it is a spectator event on many levels, but there is nothing like the thrill of participating and being a soldier, child, or civilian impression in the 1860s. There are going to be hundreds of folks there to help you join up, and begin a reenacting experience. CWRS is more local, and ACWA is more northern California but has some members from Visalia too. 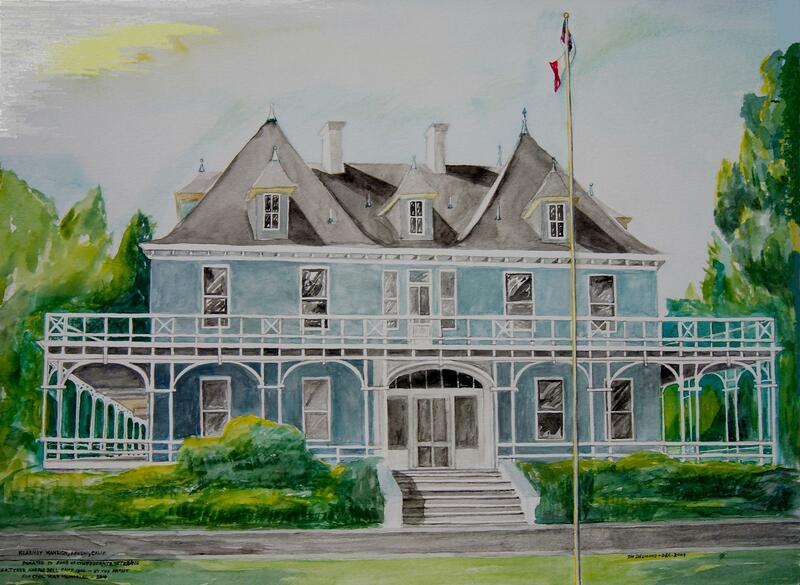 The School’s Education Day is Friday October 18. All are invited on October 19th and 20th next Saturday and Sunday. Drop by the tent of Lt. General W.S.L. Baylor, who I portray, next to Thomas “Stonewall” Jackson’s Command tent in the Confederate Camp. Baylor was Jackson’s Adjutant General in the Shenandoah Valley Campaign. Only four weeks left. Again, it’s getting short here. While the “Gold Rush” had a beginning of migrations to California, there were men coming from all areas from the eastern states, north and south, and from global locations. Other early farmers or names in the area were Hildreth, Daulton, Castro, Firebaugh, Chapman, Helm, Johnson, Faymonville, Savage, Heiskell, as well as Miller and Lux. Many were ex-miners. When Millerton was still the Fresno County seat there was a civilian fight that had to be quelled by the US Army in the area. The state of California had the famous “California One Hundred” battalion that went to the east coast as a Union volunteers. The war occurred before Fresno was a town. There were further folks coming after the war from both northern and southern states. There were veterans farming here before the City of Fresno was formed in 1872 on Easterby farm land. Fresno County had the Alabama colony north of the San Joaquin River on Cottonwood Creek near present day Highway 99 and Avenue 12 in the present Madera County. [ Madera County was formed in 1893 from the northern portion of Fresno County.] Of the family names of that era are Borden, Mordecai, Dixon, Holmes, Reading, Sledge, Chapman, Friedlander. I mentioned Ryan in Fresno, and there were the three doctors, Hopkins, Maupin and Meux. The old Ryan Hotel in Fresno was built by Confederate Civil War Veteran Ryan.